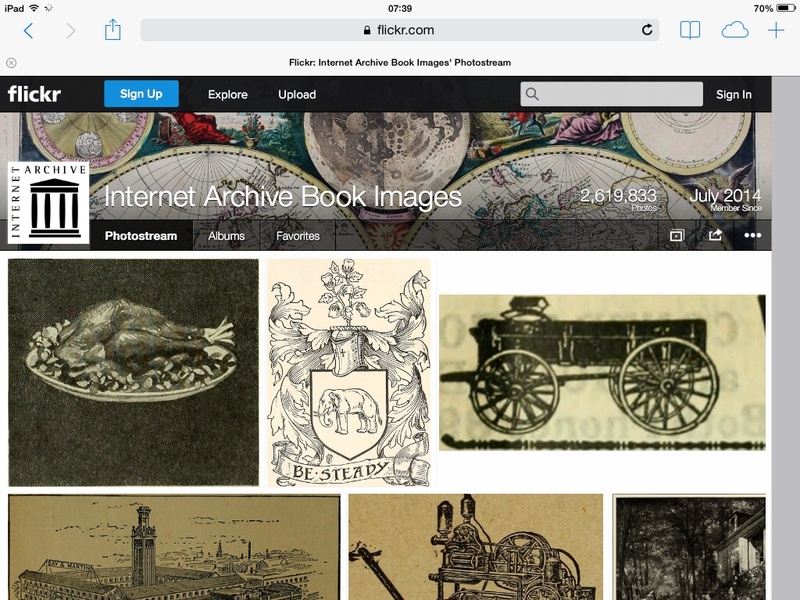 Kalev Leetaru, an American Academic, has uploaded over 2.6 million pictures to Flickr, with searchable tags automatically added. Sourced from more than 600 million library book pages scanned in by the Internet Archive organisation making this a free resource. This releases images that would otherwise have been embedded in PDF or text searchable formats. The pictures range from 1500 to 1922, when copyright restrictions come into effect so are free to be copied and reused. There are exciting opportunities for the DiAL-e to explore some of the functionality associated with the scanning process, showing timelines and morphing of images. Leetaru's reported to explore a project to link the resource to Wikipedia,which will enhance both and we'll be watching that carefully.